Hello again and welcome back to my blog! So sorry for not posting more this week, but it has been one heck of a week. It started with getting food poisoning Monday evening and then spending the night in the bathroom vomiting. Yuck! Then because of this the rest of the week I battled nausea and an upset stomach. What fun! I saw my doctor on Friday finally and he gave me some pills to help with my symptoms, but they make me very dizzy and sleepy so I take them only when needed. I did, however, manage to get my card done for Global Design Project and here it is. 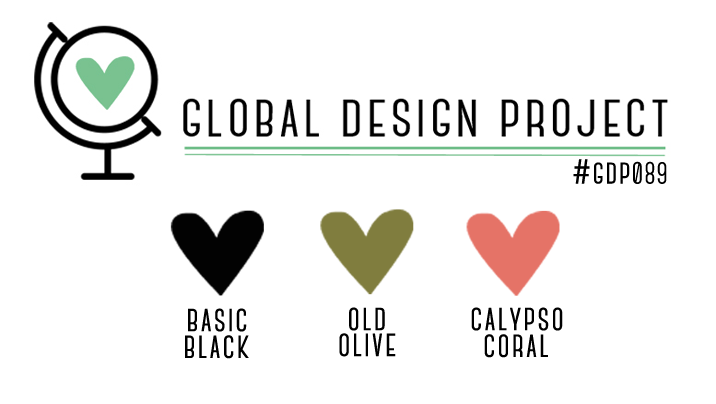 This week on GDP it was a color challenge which is one of my faves! Here are the colors for this week. 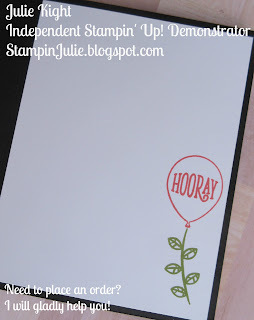 I always start my color challenges by first grabbing all my DSP (Designer Series Paper) by Stampin' Up! and go through it while thinking about the colors we have to use. I finally settled with the paper from the Delightful Daisy pack, because it contains all the colors from the challenge, plus it is just some good looking paper! 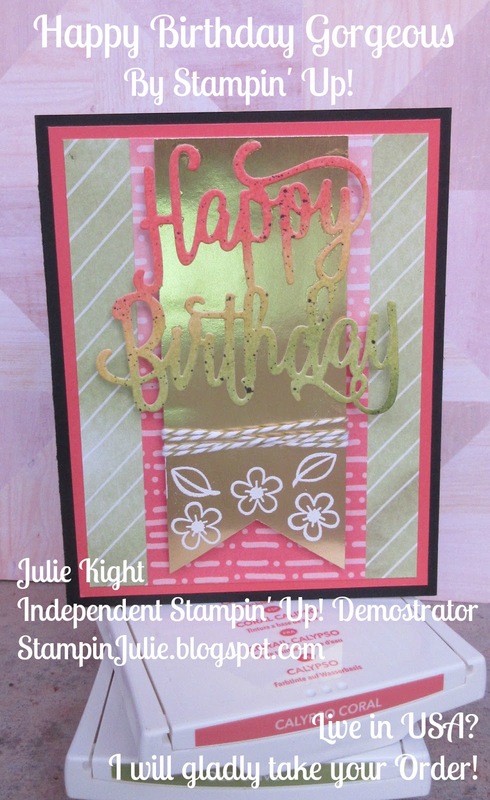 Next, I decided on the stamp set I wanted to use and it was Happy Birthday Gorgeous. 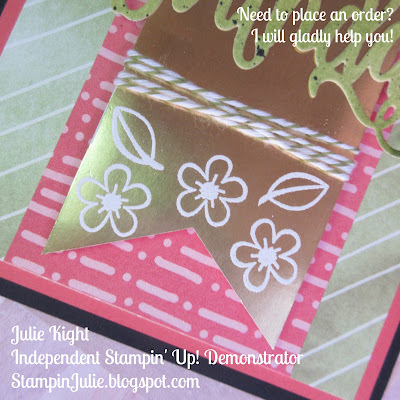 This stamp set has a die cut available to get with it as a bundle from Stampin' Up! for a 10% discount in this new Annual catalog. I mainly wanted to use the die cut as my focal point so I decided to watercolor on some watercolor paper with my Aqua painters and the two challenge colors, Calypso Coral and Old Olive. I added in some Daffodil Delight color in the middle of the two other colors to provide a nice transition between them. When I was happy with the turn out of the colors I let the whole thing dry in front of my small desk fan. I then die cut the Happy Birthday die out of this piece of paper. 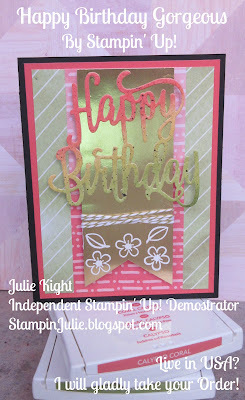 I placed it on top of a piece of Gold Foil paper that I punched at the bottom with my Triple Banner punch. 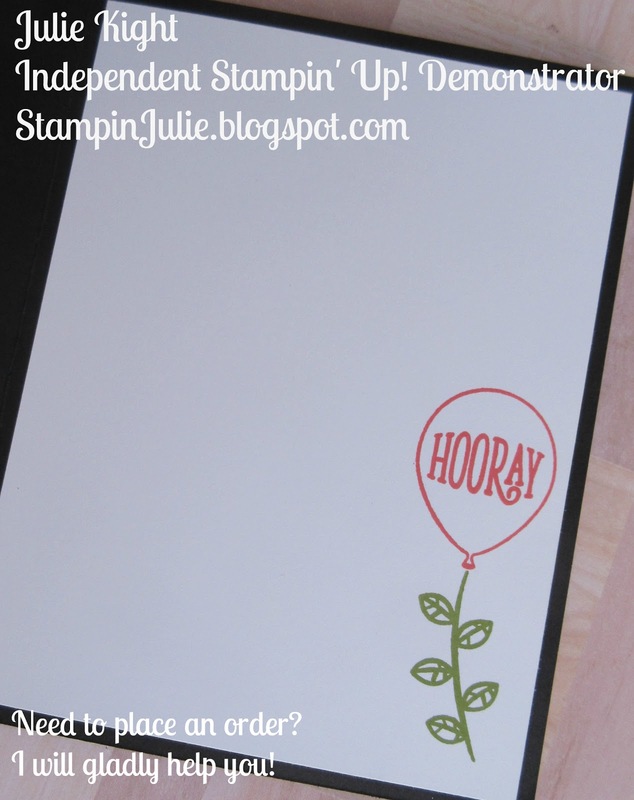 I decided to emboss on this piece with the stamps from the set and some Whisper White embossing powder. When done, I wrapped some Old Olive Baker's Twine around this piece and glued it onto my piece of DSP. I then glued this whole piece onto another piece of DSP and then onto a piece of Calypso Coral cardstock. Next, it all went onto an A2 size Basic Black cardstock card base. On the inside I simply stamped a flower stem with some leaves in Old Olive. Next, I stamped a balloon on the end of the stem to make it look like a balloon flower in Calypso Coral. Too cute, yeah! If you need or want any of the items used in this card just click on the item below. Here are my supplies. Thank you so much for coming to my blog today and I hope you really liked what I did for this challenge. 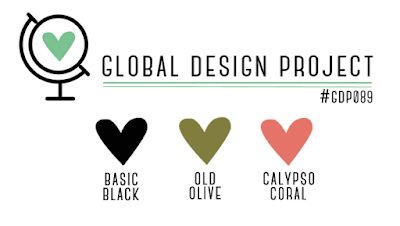 Remember to check out all the other projects that other people have made for this color challenge on GDP. There are some amazing items on there! Have a great week everyone! Let your friends know about this special too as it is only good until June 10th. Also, when you become one of my customers I will send you the new Stampin' Up! catalog for free, all I ask is if you are already working with another Demonstrator to please ask them for a catalog first. Thanks!